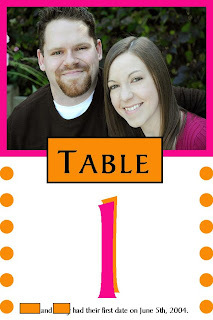 The DIY Bride: Table Numbers - Check! I'm so proud of these! They came out really well and now they're ready for their close-up! I made them on Microsoft Publisher and printed them on photo paper. They're so cute! I'm currently working on mine too.